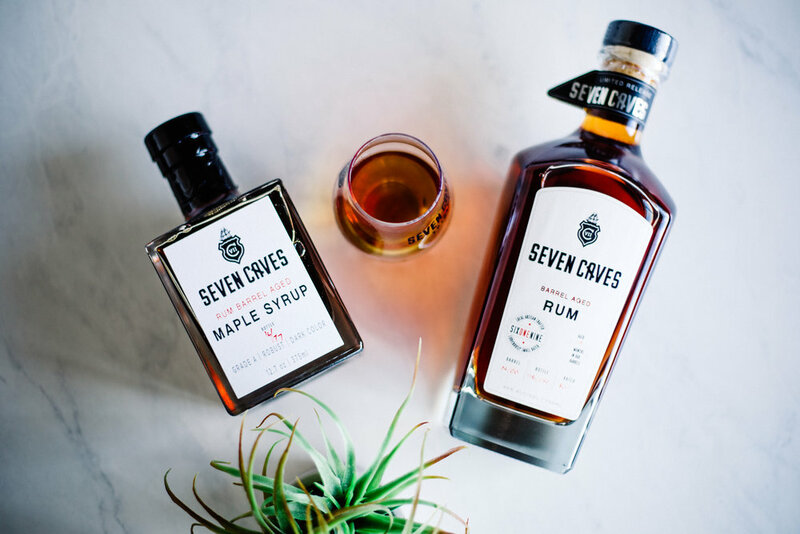 Seven Caves Spirits San Diego sources the best ingredients that we can get our hands on from around the world to create ultra small batches of our Rums. Our molasses and cane sugar Rums begin their journey in new oak casks. Every cask that enters our doors is hand selected to match the spirit we create. Our Limited Releases Series is a great vehicle to feature secondary finishing barrels. These batches spend extra time in beautiful barrels sourced directly from some of the finest bourbon, rye and Madeira houses in the world. We do not add sugar to our spirits after distillation. Ever. Every bottle that leaves our shop is single barrel. All are numbered. Each is exceptionally limited. 1. Add all ingredients to a cocktail shaker half filled with ice. 2. Shake vigorously and strain into a nice glass. 3. Add a quick pinch of lemon rind before serving. Thanks for Steven Tuttle of Kettner Exchange (and Sam Ross who inspired him!) for the awesome idea!